Just before Thanksgiving, we discovered a water leak under our kitchen sink. It had soaked the cabinet base and the drywall, which caused mold all along the back wall of the kitchen. The dishwasher and all the cabinets had to be emptied and taken out. Dehumidifiers and air scrubbers ran 24/7 until the drywall and insulation were dry and safe to remove. Our counter was held up by 2x4s, and the sink was out of commission. 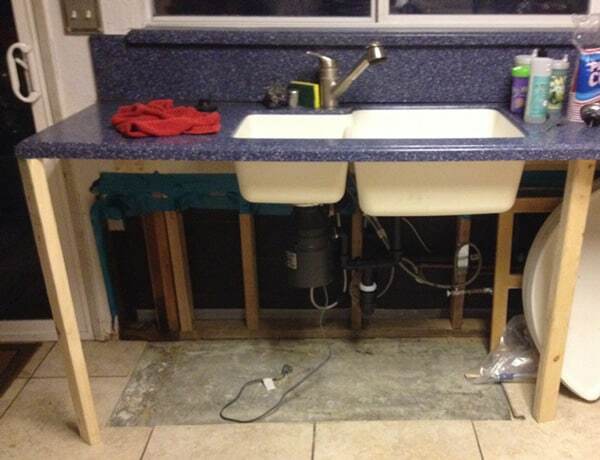 Thankfully, our homeowner’s insurance covered most of the remediation and repair. But there’s nothing like washing dishes by hand in the bathtub to make you thankful for your dishwasher. Here’s how we survived without a dishwasher for 57 days…and some of the lessons we learned. People have survived without dishwashers and we can too. Many of you told me on Facebook that you haven’t had a dishwasher for years, and don’t miss it. 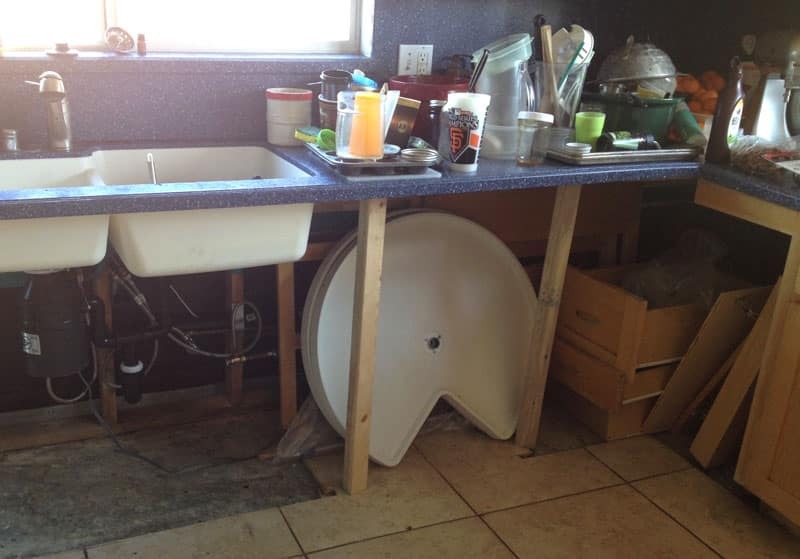 My cousin, who has a family of 12, got rid of her dishwasher to have more storage space in her kitchen. With 10 hungry kids, they probably needed the pantry space more than they needed the dishwasher! We used paper plates and cups for a while, but it was too expensive and wasteful to use them for every meal. I had to wash dishes by hand, and the water to the sink was turned off. So I was left with washing dishes in the bathtub—yuck. Of course, Peanut (age 4) wanted to help. As all of you moms know, it’s much more difficult and messy to hand-wash dishes when you have a splashing helper by your side. As the weeks went on, we reverted to a different standard of cleanliness. I call it “camping clean”–where you wipe a pan or utensil and use it for something else (without a proper washing). Plates, glasses, and silverware always got a good scrub. But if the only thing that touched a pan was the bread from a grilled cheese, a quick wipe was good enough. I quickly realized that we have way too much stuff. Do I really need 8 different wooden utensils—especially when one is burned on the edge? Why do I have 2 spaghetti spoons, and why did I keep the melted plastic one when I have a metal one? When you have to wash everything by hand, you become very aware of the redundancies and the sheer volume of stuff in your house. When I put the kitchen back together, I knew I would have to make some changes and get rid of the excess. But when I looked at all the mess from the boxes and cabinets, it was just too overwhelming. Thankfully, I was introduced to The 30 Day Guide to a Clean & Organized Home, from my friend Rachel at Nourishing Minimalism. Rachel, her husband, and their 6 kids live comfortably in their 1,100 square foot home. Through years of trial and error, she has learned what works and doesn’t work for keeping a house clean! The 30 Day Guide to a Clean & Organized Home is a friendly, comprehensive walkthrough for decluttering. 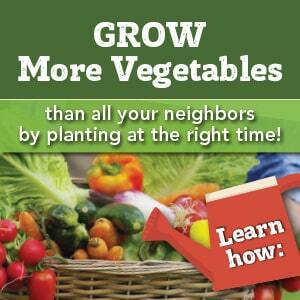 I loved its tested routines and simple ways to make daily changes. This ebook was invaluable to me in streamlining my kitchen and helping me decide which items I could do without (the melted spaghetti spoon) and which ones I wanted to keep (the dishwasher). I printed it out and went through the book one day at a time. 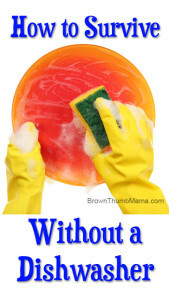 It especially helped that I didn’t have to start with a clean kitchen to be successful! Goodness knows, the kitchen was a disaster during and after the construction. Now, the kitchen is fixed and I have fewer unnecessary dishes and kitchen gizmos. My cupboards and pantry are organized, and it’s easy to find everything. And I’m setting easy daily routines so the house stays clean and inviting. 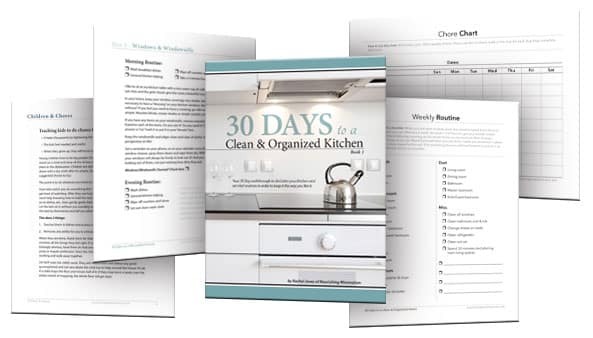 If you’re thinking about spring cleaning, streamlining your stuff, or living without a dishwasher, The 30 Day Guide to a Clean & Organized Home is perfect for you. Check it out!